Published: July 9, 2018 at 11:47 a.m. Wondering if and how your NFL team can make the playoffs in the coming season? Adam Rank and Marc Sessler have you covered in this ongoing series, as they provide five reasons why each of the league's 32 teams will make an appearance in the 2018 postseason. Today, Rank examines the Minnesota Vikings. 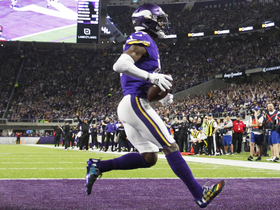 If the Vikings' 2017 season was a movie, it would have ended right after Stefon Diggs scored that walk-off touchdown to beat the Saints in the Divisional Round. Diggs makes that miraculous catch, Case Keenum reads some "where are they now" lines and roll credits. We call this the "Varsity Blues" ending because that picture ends with West Canaan making the Texas 3A playoffs. We never get to see it actually playing in the playoffs. So, we never know if they win or lose or if Moxon can keep the momentum rolling. Or what happened to all the assistant coaches after Bud Kilmer walked out and no parents were wondering why Lance Harbor was suddenly calling the plays with no adult supervision on the sidelines. Seriously, what's up with that? But we do know how it ended for the Vikings. And for as amazing as the Minnesota Miracle really was, the follow-up in the NFC Championship Game was not. Don't worry, Vikings fans. You'll get another chance this year. Here are five reasons why the Vikings will make the playoffs. 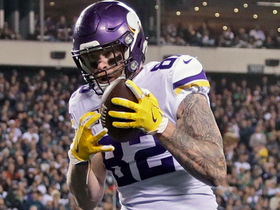 The Vikings were active in the free-agent market in the offseason. A lot of quality moves. But there was one that got everyone talking around the league and one that could be a game-changer for this season. Of course, I'm talking about Sheldon Richardson. What a monster deal! The Vikings already had the top-rated defense in the league last season, including a defensive line filled with superstars like Danielle Hunter (they signed him to a new deal, BTW), Everson Griffen and Linval Joseph. It was already the reincarnation of the Purple People Eaters and then you go out and bring in a talent like Richardson. It's almost not fair. Like when you order regular fries, and you get the free upgrade to chili-cheese fries. For free! The Vikings got their quarterback for this season and the future when they inked Kirk Cousins to a huge deal. 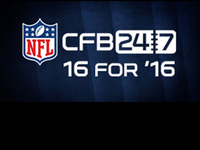 It's the first multi-year, fully guaranteed contract for a quarterback in NFL history. And many around the league wondered why they would break the bank for a quarterback when they were just a game away from the Super Bowl with Case Keenum. The Vikings have long been close. And it's stung, too. The recent oral history of the Vikings' 1998 season reopened the wounds for Vikings fans. I mean, when your pain becomes a recurring joke on "How I Met Your Mother," you know it has a lasting impact. So the Vikings know close. It's time to actually get there. 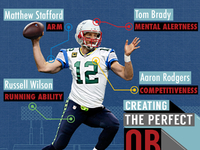 It starts with stability at quarterback. Eleven different players have started at quarterback for the Vikings since 2010. 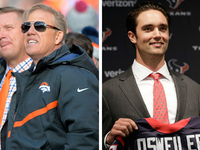 They change quarterbacks like James Bond movies change the titular character. It's why "Mission Impossible" movies are better. You have only one Ethan Hunt. That's a fact. And it looks like Cousins could be the top gun the Vikings have been looking for. Think about this: Brett Favre and Daunte Culpepper are the only Vikings quarterbacks to pass for more than 4,000 yards and 25 touchdowns in a season in the last 20 years. That's Cousins' average over the last three years. Pat Shurmur, the Vikings' OC last season, is now the coach of the New York Giants. And that's tough. Minnesota made a good move in getting DeFilippo into the mix as the new offensive coordinator. He was the quarterbacks coach of the Eagles and was himself a hot name in head-coaching searches this year. He will make sure there isn't a dropoff offensively for the Vikings. One area where DeFilippo should immediately help Cousins is in the red zone. 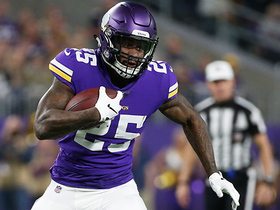 The Redskins struggled in that department the last two seasons (this was probably more of a running back problem), but it was a source of pride for the Vikings. Minnesota averaged 5.11 points per trip to the red zone last season, ranking fifth in the league, according to Football Outsiders (via the Star Tribune). The Eagles also excelled in the red zone. It's where they made their money and great moments. In fact, if I'm Cousins, I'm working on catching the football. I'll show myself the door. Speaking of an embarrassment of riches, the defense is obviously loaded. But that Vikings' offense is also rolling in it. Stefon Diggs is going to be huge in D-Flip's offense. (That's right, I'm calling him D-Flip.) Adam Thielen is great. 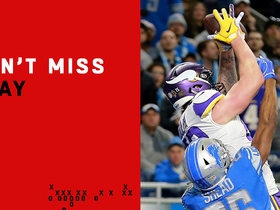 Kyle Rudolph, of course. The biggest key among Cousins' weapons is Cook. He was on the cusp of a monster rookie year before being lost for the season to an ACL tear on Oct. 1. Cook was on pace for more than 1,400 yards, eight touchdowns and general awesomeness. Now he's been cleared for drills and should be ready to go for training camp. 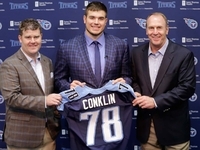 I know a lot of you will be all, "So Rank, where do I take him in my fantasy drafts?" We're not doing that right now. Because mainly I could see him being eased back into the Vikings' offense because the team has that luxury. He's going to be huge in the second half, though. He's going to be the kind of spirit-crushing back who is going to help the Vikings salt away a bunch of late-season wins. Fine. He's coming in with an average draft position in the second round in fantasy as the RB10. If you can deal with his early-season adjustments, you should be cool with that. I'd rather wait and take Jordan Howard later, though. I know, I know -- it's a cliche. The kind of tagline for an upcoming summer blockbuster. But it really does encapsulate what the Vikings are working with this season. They really didn't lose much coming from a great 2018 season. They lost their offensive coordinator, but might be better off with DeFilippo. They let their quarterback walk out the door, but somehow got better. They were productive on the ground but will probably run the ball better this year. That's pretty scary to think about. Especially if you are a Bears fan and you desperately want your team to get back into the mix. I thought the Vikings had the most complete roster in the NFC last year. And yeah, I know they were humbled in the NFC Championship Game last year. But that typically happens to teams that win in such dramatic fashion. It's hard to replicate that magic. But the magic will come this season as the Vikings are even better than they were last season. There is no way they miss the playoffs.